Are you even getting more than you’re putting in? Market share is an important factor that can’t be overlooked, but that doesn’t mean you have to waste your marketing budget. If you’re wondering whether you’re wasting your marketing budget, look no further. 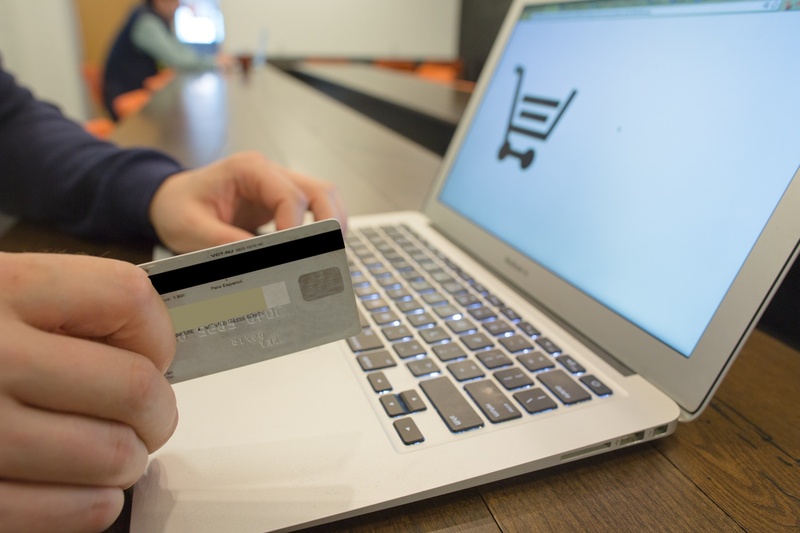 Here are five ways you’re totally spending your marketing budget the wrong way. 1. MISGUIDED EXPECTATIONS - You buy a software suite like HubSpot, or some marketing automation platform, and you’re surprised about the learning and training the software requires. Marketing software is a tool. You have to learn how to use it, and you still have to invest the time, energy, and thought to get the most out of it. These tools will take you places you could never go without them, but if you don’t know how to use them, you’re wasting your budget. When you buy into a marketing software platform, plan to learn and master what you have. After all, you can’t get nails into wood with your bare hands; you need a hammer. Even with the hammer, you must know how to use it, then take the effort to swing the hammer at every nail. If you don’t want to invest the effort, don’t expect results, and don’t buy the tool. Misguided expectations like that lead to a wasted marketing budget. (We put together an ebook "The Ultimate DIY Guide To HubSpot Management" to help new HubSpot users. Click here to grab your copy). 2. LACK OF PROVEN PROCESSES - You hire a marketing manager, then send them off to figure things out on their own. Without a process in place, don’t be shocked when you don’t get the results you were looking for. If you have to have your own in-house marketing manager, set aside the time to work with him or her on existing practices. After all, there must have been a process in place to turn people into customers before. Don’t forget to keep your baseline standards, or you will pay for it… with your marketing budget. Every day you waste by having your marketing manager reinvent the wheel is a day you could have been getting results instead. At the very least, have your personnel execute a general process that works for other businesses in your industry. 3. LACK OF SOUND STRATEGY - You may be wondering how your strategy is different from your process. This is okay. The process is the technical nuts and bolts. You will create a certain amount of content at a certain frequency, with a specific monitoring system in place. A process is a series of activities meant to be laid over any strategy. The strategy is the logic that is specific to your audience, business, product, and context. A sound strategy is a researched and unique series of goals that lead a target audience from being a total stranger to becoming your customer. Strategies rely 100% on having the right people and the right ideas. Without a sound strategy, you can have a proven process that is nothing more than spinning your wheels! Just imagine the hamster running all day without ever leaving his cage. Connect every action in your marketing budget to your end goal in a logical and educated fashion, or you’re just wasting your company’s hard-earned money by publishing meaningless emails and blogs. 4. FALSE HOPE IN SCALABILITY - You spent $1,000 on Google AdWords and generated $5,000 in business. Be careful: this does not always mean that $10,000 blown in AdWords will bring $50,000 in revenue! If you’re fortunate, the results may stay consistent up to your budget limit, but there is always a point where the returns diminish. In fact, eventually you will continue spending money for no additional income, which is the ultimate waste of a marketing budget. Don’t let initial success convince you to sink the rest of your entire budget into a single marketing option! If scalability were that easy, everyone would generate the business they wanted. Yet again, you must continue to monitor the success of your upscaled marketing process. If you aren’t trying new angles or researching more efficient and innovative ways to use the same tools, you’ll eventually just waste your marketing budget. Sometimes going big just means going bust. 5. UNREALISTIC OR DUMB GOALS - You want to create a marketing campaign that will launch your business into its biggest year yet, but you’re still working with the same amount of time, personnel, and money as before. Setting an unrealistically large-scale marketing goal may actually cause you to perform far worse than if you had just settled for a reasonable goal instead. A half-finished marketing project doesn’t mean you’ll get half the results… you probably won’t see any results at all. Work on setting SMART goals: they will be Specific, Measurable, Attainable, Relevant, and Timely. Check in detail to verify how each word applies to your marketing strategy and the goals you’ve set for it. Make sure that you haven’t aimed too high, only to gamble your marketing budget on a goal that could have been identified as dumb from the very start! 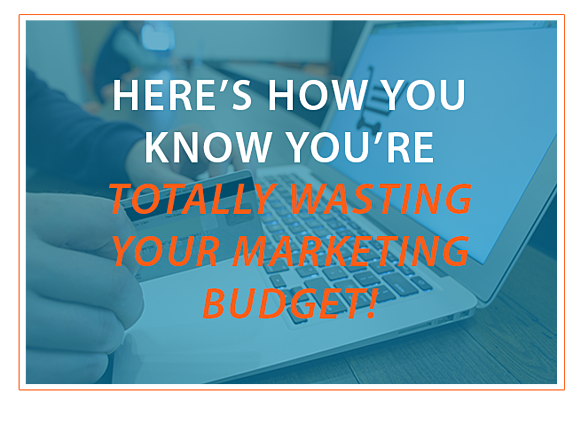 Are you wasting your marketing budget after all? It’s not the end of the world. In fact, it’s an opportunity to get educated and turn things around.